India’s largest crowdfunding site. Over Rs.548.15 Crores raised. We are not marketing guys , we are not good with writing , but still we hope we will be able to make the compassionate readers understand why we need funds. 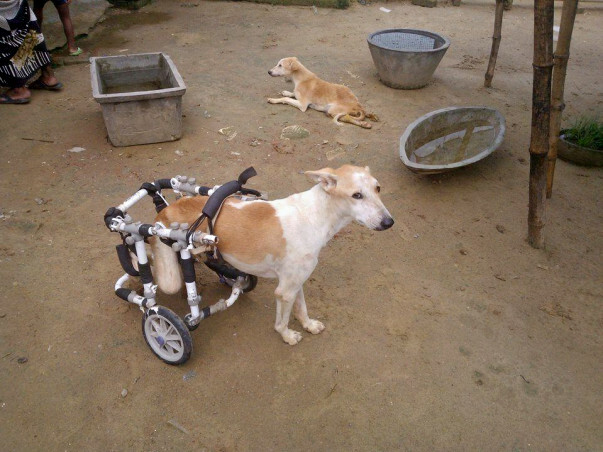 My name is Ashish Bajpai , I have devoted my life for animals as I found true love in them. For more information about me or about the NGO and shelter kindly visit their pages on Facebook. 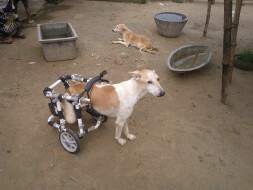 My NGO is looking after and running Samarpan Pashu Sewa Ashram , which was setup to keep paralyzed or old abandoned dogs. I started volunteering at Shelter as no one visited the shelter , dogs lied on mercy of staff . Even staff required many items like pipe , broom , wiper , medicines etc , which were not available then.I worked as volunteer for 3 months, after seeing my work and changes brought to shelter , shelter owner Smt. Shashi ji handed over the shelter to my NGO for making shelter better and provide timely care to dogs. Since taking over I have connected few people to shelter who donate regularly. All the necessary items are bought in month start . We have constructed 1 more room and concrete roof over kennels , installed coolers for summers. Earlier there was only daytime staff, now we have both day and night staff. Your Donations will bring warmth this winter , pls help before winter starts. In Lucknow temperature falls below 2degrees Centigrade.